As the title says, it's all about the NEW ! alongside our annual Sale-a-Bration event. This means more products for your money - and products for FREE! 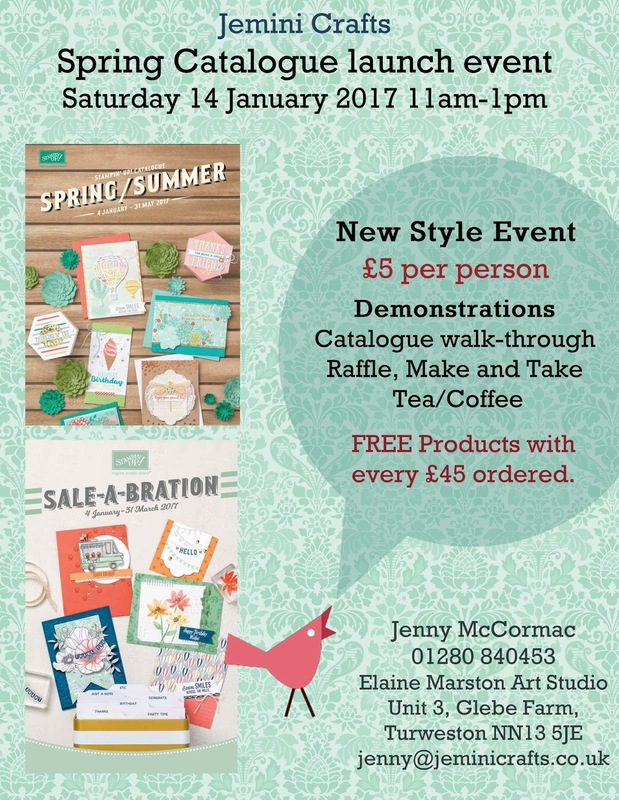 To get the party started, I have a brand new style event on Saturday 14th January. Want to join us? EMAIL me to book your space. Can't join us? watch out for an online event at 6pm the same day. EMAIL me for your invite.